An SDLP councillor has welcomed the launch of a Police Ombudsman probe in to how the PSNI conducted an investigation, after no one was prosecuted for the death of a Co Antrim toddler. Declan O'Loan – whose wife Nuala formerly occupied the Ombudsman's post – sent a letter of complaint to Dr Michael Maguire's office, as he was troubled by details that emerged during the inquest earlier this month into the death of Liam Gonzalez Bennett. Mr O'Loan said: "Someone needs to break in to this case to see if there can have been justification for no charges having been taken and to establish if there was failure in some part of the legal chain. "The Police Ombudsman is well placed to begin the necessary inquiries, and I welcome the fact that he has done so." 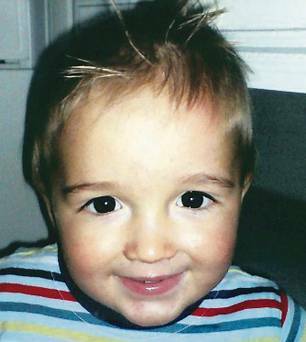 The 20-month-old died on February 8, 2009, the day after he was rushed to hospital from his home at Sunningdale Park in Ballymena, having suffered 31 head injuries, leading to blindness and brain death. His mother Samantha Bennett and stepfather Paul Noel McKeown were arrested and were questioned several times. But no prosecution was ever brought, and police are not seeking anyone else in connection with the little boy's death. In court, Dr Alistair Bentley, Deputy State Pathologist for Northern Ireland, concluded the bruises on Liam's head may have been caused by the "knuckles of a clenched fist". At Liam's inquest, Coroner Suzanne Anderson requested that the Director of Public Prosecutions (DPP) look at the matter again. Mr O'Loan said Mr Maguire had written to the coroner, Ms Anderson, seeking the reasons for her referral of the case back to the PPS and asking whether she had concerns about the quality of the police investigation. He said the Ombudsman has also written to the DPP expressing an interest in the review that will take place and requesting that should the PPS identify any concerns about the adequacy of the police investigation, they refer the matter to him. This page was loaded Apr 25th 2019, 9:56 pm GMT.